The Music Ministry of the Church of the Transfiguration exists to enhance and edify the public prayer of the gathered community through combining our God-given gifts of music for His glory. The Music Ministry consists of generous, willing parishioners who volunteer their musical talents at various liturgies and paraliturgies. Although musical ability is necessary, no audition is required. 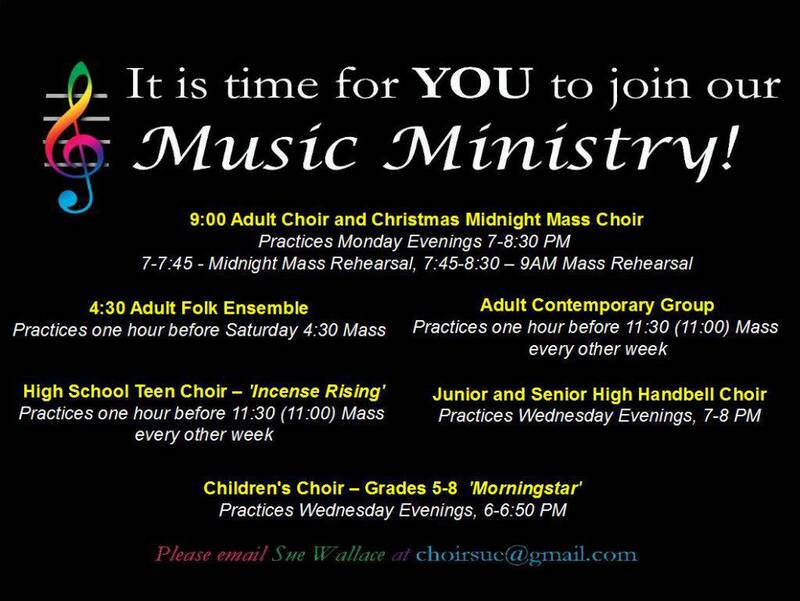 To join the Music Ministry contact Sue Wallace. To join the Bell Choir or MorningStar contact Pam McInerney at pammac@frontiernet.net. 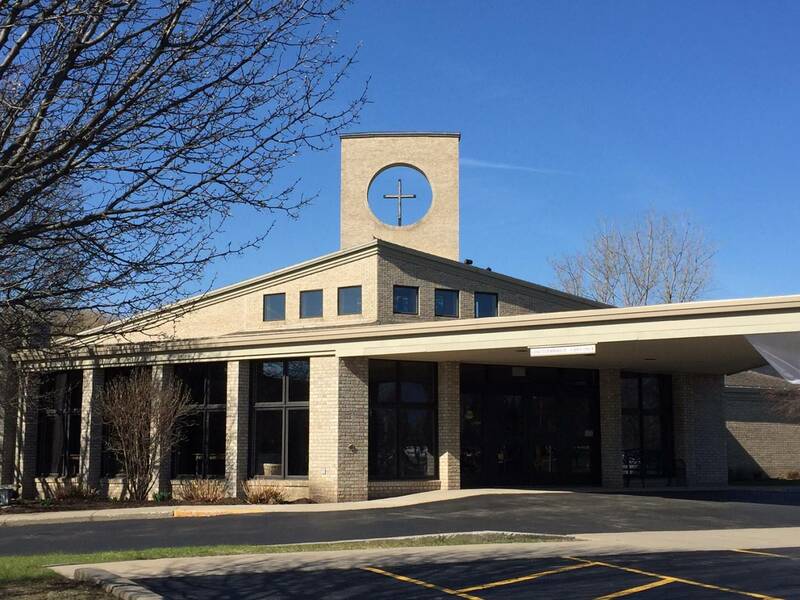 You can also contact the church office at 248-2427 or just come to a rehearsal. Must have enthusiasm, spirit and a reverent sense of the mystery of the liturgy. Must desire to give back to God, the measure of talent He has given you. Must have a "Heart commitment" to the group (meaning that occasional necessary missed rehearsals are a given-especially for the sake of time with one’s family). Instrumentalists are needed for special occasions. Also, in 2016, we will have our 2nd Annual Chamber Choir for Midnight Mass for Teens and Adults who enjoy reading and singing choral music. God has truly blessed Transfiguration with many wonderfully talented musicians. We encourage you to consider offering your God –given talent to Transfiguration’s music ministry. Oh, by the way, NO audition is required.